While USD has been under the positive impact of Powell’s speech, building permits unexpectedly fell and the Euro-zone’s final consumer price index climbed 2.0% on an annual basis. 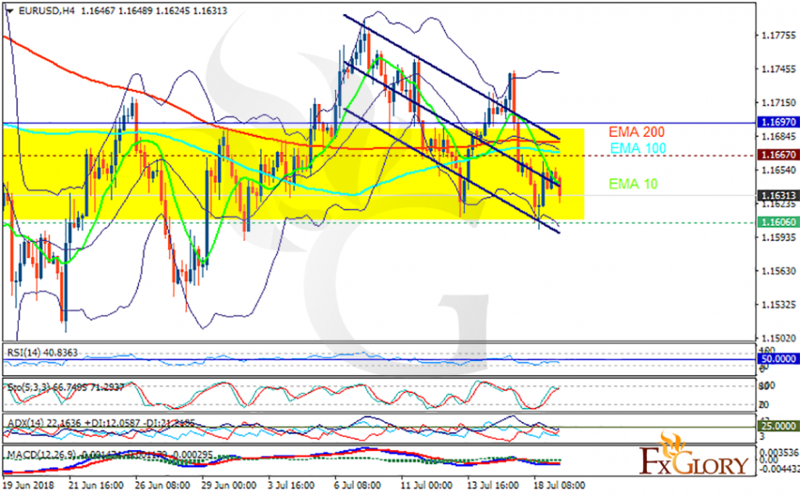 The support rests at 1.16060 with resistance at 1.16670 which both lines are below the weekly pivot point at 1.16970. The EMA of 10 is moving with bearish bias in the descendant channel and it is below the EMA of 200 and the EMA of 100. The RSI is falling towards the oversold area, the Stochastic is showing downward momentum and the MACD line is below the signal line in the negative territory. The ADX is showing sell signal. The price may decline towards 1.155 but this level will remain the floor of the market and bulls will return soon.